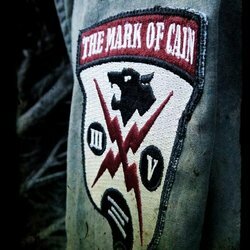 The Mark of Cain, based in Adelaide, Australia - has been described to be one of the best and "most brutal bands around today." This talented outfit had it's beginnings in 1984 and have since released five albums plus numerous singles and EPs. Featuring John Scott (on Guitars and Vocals) his brother Kim Scott (Bass) and drummer John Stanier (Battles, Helmet, Tomahawk). Another track to harken back to an earlier and more melodic sound for TMOC. Heart on its sleeve and maybe even autobiographical, '1000 Yard' is the longest track here.